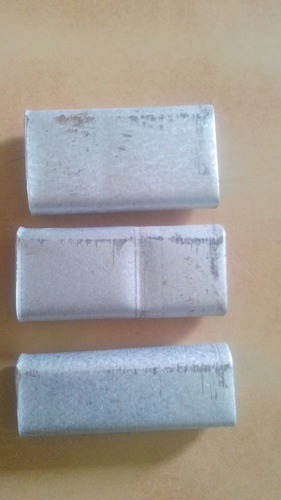 We are a well-known name instrumental in offering Galvanized Packing Clip. Our presented clips are precision engineered by utilizing modern technology in harmony with the diverse industry applications. Moreover, patrons can avail this complete range of clips from us in an ample range of specifications as per patrons’ requirements at competitive prices. Established in the year 1999, at Rajkot (Gujarat, India), we, “Rozee Technist,” are successfully recognized as an eminent manufacturer, exporter, and supplier of a broad range of Packing Clip, Packaging Clip, GI Packing Clip, PET Strap Clip, Color Coated Clip and PET Strap, etc. These products are manufactured under the supervision of our highly experienced professionals using an excellent quality raw material in adherence to the international standards. Offered products are well-recognized for their features like robust construction, high durability & strength, corrosion & abrasion resistance, dimensional accuracy and seamless finish. We offer these products to various specifications as per the specific requirements of clients.